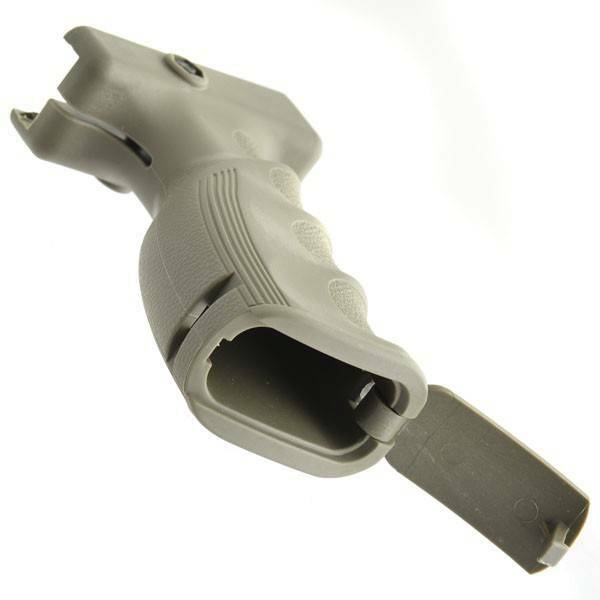 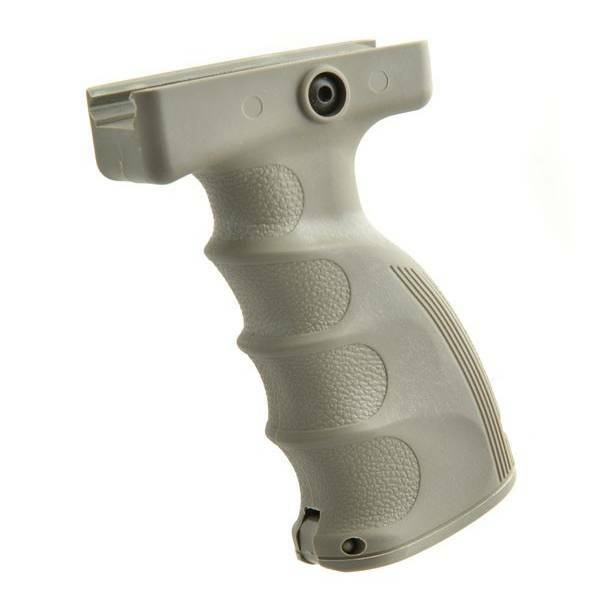 This ergonomic foregrip provides the best controllability and comfort. 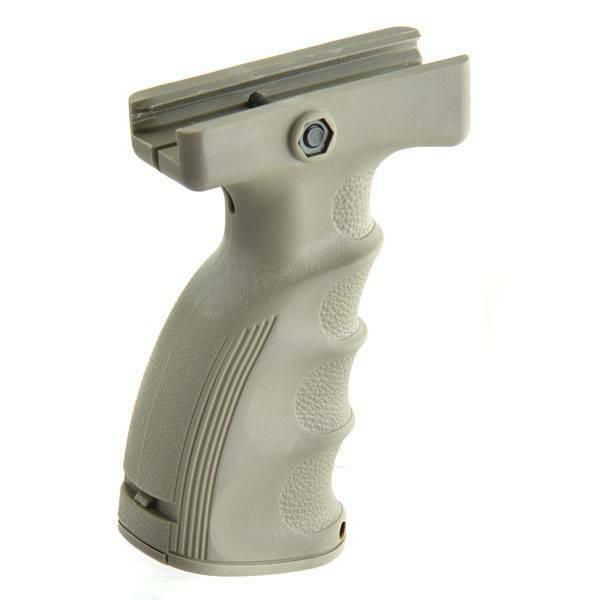 It has a storage compartment on the bottom of the grip at your disposal. 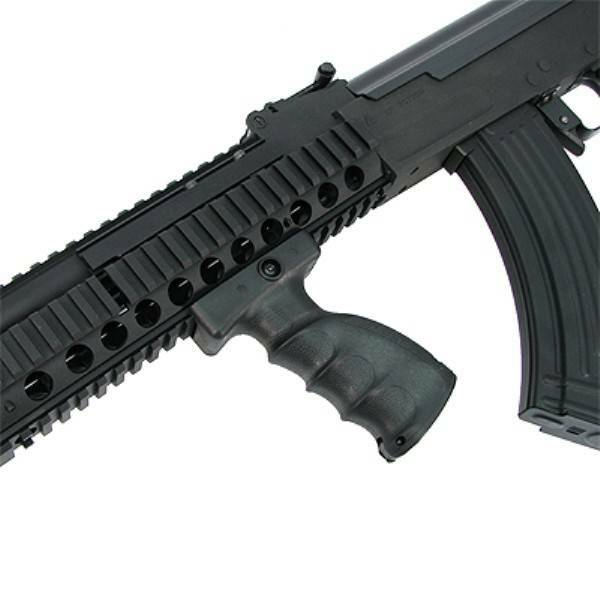 Will fit standard 20mm rail.